The most tone-deaf ads ever? 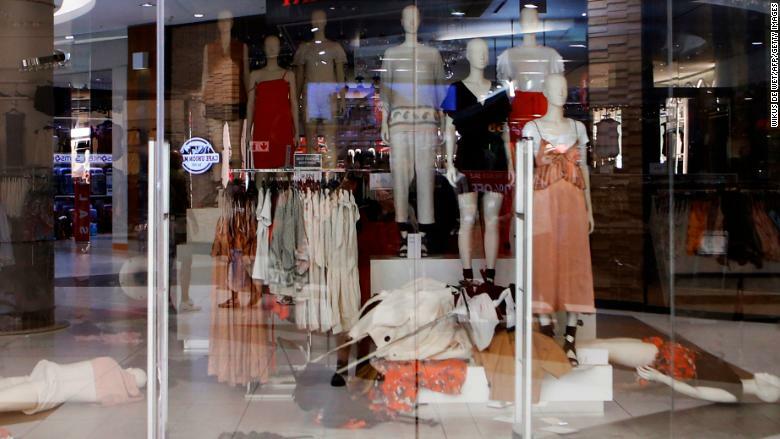 H&M stores across South Africa were shuttered Saturday. Local media reported that destructive protesters had swarmed several locations. 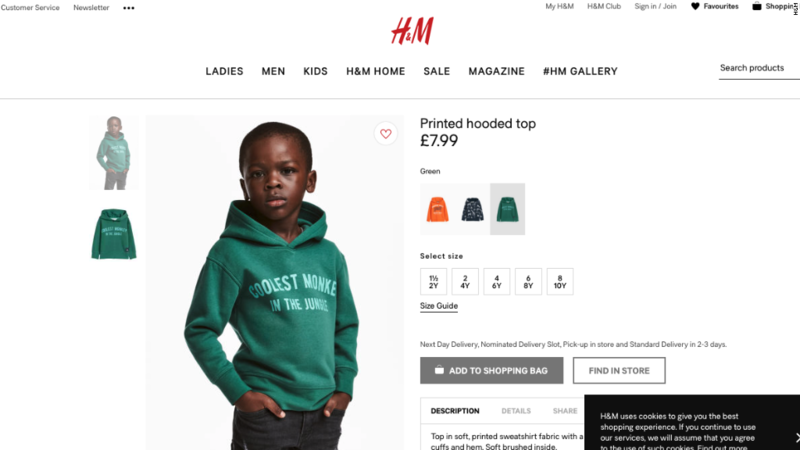 The protesters were reacting to an ad in which a black child wore a sweatshirt that bore the slogan "coolest monkey in the jungle." It appeared on the British version of the Swedish retailer's online store. Some social media users shared footage claiming to show demonstrators throwing racks of clothing to the ground. Images show merchandise in tangled heaps and toppled security sensors. H&M said in a statement that it's "aware of the recent events inside several of our South African stores," and it has "temporarily" closed all stores in the country. According to the company's website, H&M has 17 locations in South Africa. "None of our staff or customers have been injured," H&M said. "We continue to monitor the situation closely and will open the stores as soon as the situation is safe again." The ad, which has been deleted, met backlash earlier in the week when it was shared on social media. Two musicians, known as The Weeknd and G-Eazy, cut business ties with H&M in response. H&M issued a statement Monday: "[W]e apologize to anyone this may have offended." On Tuesday, the company said it would also "investigate why this happened to prevent this type of mistake from happening again." In its statement Saturday, H&M went further. "We strongly believe that racism and bias in any shape or form, deliberate or accidental, are simply unacceptable," the statement reads. "We stress that our wonderful store staff had nothing to do with our poorly judged product and image." The Economic Freedom Fighters, an opposition party, retweeted footage of protesters marching and singing in H&M stores. The group's leader, Julius Sello Malema, also shared images of the destruction and comments accusing H&M of racism. On Twitter Saturday morning, Malema wrote: "We will never be told by any fool on how to fight against our oppression particularly those who have never been at the picket lines. There's no formula on how you should fight the oppressor, expect more action against all racists, individually and collectively this year."